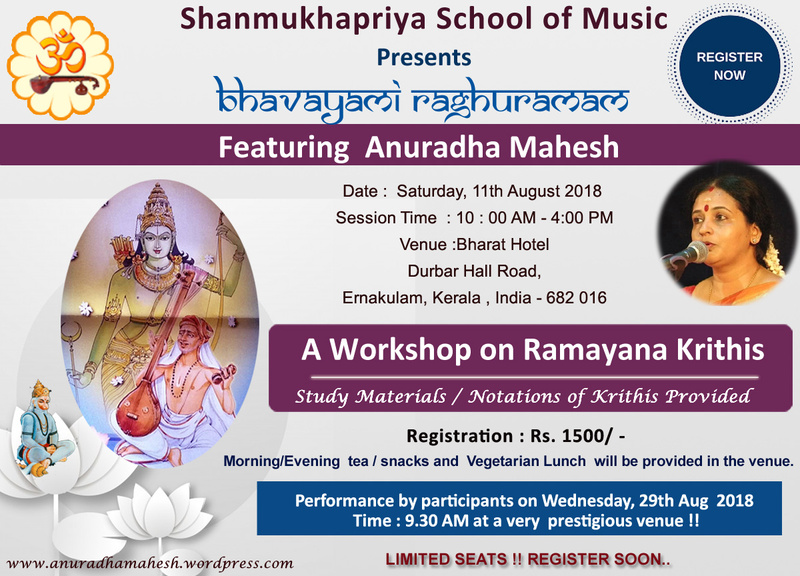 A workshop on Rāmāyana Keerthanās will be organised in Kochi – Kerala by Shanmukhapriya School of Music during this Divine Ramayana Month. This entry was posted in Carnatic Music Lessons, Carnatic Singing Lessons, Concerts & Events and tagged Carnatic Music Workshop, Carnatic Music Workshop @ Ernakulam, Krithis on Lord Rama Workshop, Ramayana Keerthanam. Bookmark the permalink. ← MIRACLES DO HAPPEN ! !